While handling WordPress with ReactJS, you may encounter certain easiness and difficulties. Looking at the substantial sections of the pros and cons of clubbing these elements, hither we start with the basics. Here we go! Before going into the deeper sections let’s define API, REST and JSON. API is the Application Program Interface, which is a set of predefined protocols to create software applications. It defines the way through which the components and structure interact with each other. A complete API will ease the interface with each feature thus provides a better way for developing. REST is Representational State Transfer which is the constructive way of defining how the product should make. When it gets compiled with web services, we can call it as REST API. WordPress REST API makes the connection with apps easier. A single page app or customised version can be made easily with the WordPress data with edit and delete options. React is one of the most powerful frameworks with flexible and reusable components and enables the best workflow with JSX. ACF (Advanced Custom Fields) plugins can be used to enhance development. Custom entities can easily add to these plugins. ACF plugins can be used to start the demo. In the posts, we can add custom entities using this plugin. It is stable and pass by all tests and can be used to add custom data and information to the pages. After creating the custom data, we should call the JSON TEST API to show it off. A custom endpoint is required to perform it. Open the functions.php from the WordPress folder to register a new custom endpoint. Add these code lines at the end of the necessary file. From the product perspective, it means a lot to continue with the React. But it is always in the first position in usage and what may be the reason. Here are the basic pros and cons of using WordPress with ReactJS. ReactJS is an improved version of the traditional presentation layer. The ‘state’ concept in React components use for short storage. In combination with the Redux, we are incorporating as much as details will improve the capacity and provides the best possible results. It creates visible separation between presentation and state. In WordPress, data reaches ReactJS and Redux utilising REST API. 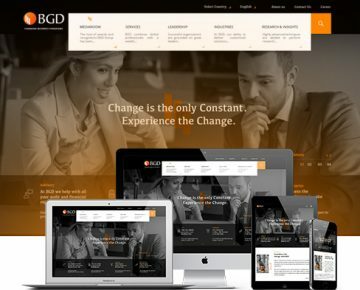 Modularity is a significant advantage here, which allows the user to put all the markup, style and functionalities in the same place. One who is practising React for the first time, he may look weird of using the pattern as mentioned above. But the increased modularity works better. Before fixing the method for your project, go with some case studies that can give you more exposure to the way of coding. The separation mentioned above in the data and presentation removes the concern of inclusion. If you are bothered about the way and time you include the components, do avoid the interest. In React, the first and last included components treat alike. This property collectively called as immutation. ReactJS is not a framework. React is not a framework as discussed above and at the same time, it is a library that provides a particular method of defining the UI components. An associated library called ReactDOM which helps in inclusion and DOM diffing is an added advantage. The interface between in Redux and React is Redux library. It provides a way for the data store. Learn React Native from Scratch with a systematic approach. Looking at the companies who are taking advantage of this technology will make you look stunning. It includes Facebook, Netflix, Reddit, Dropbox, Alipay, Airbnb, etc. As we discussed in the above section, React is not a framework, hence it has its own merits and demerits. If you want to get something at a very less period, then React won’t be the best choice. It may make your bullying. If you are overwhelmed with lots of project with deadlines that lies closer, don’t go with React. If you have plenty of time for doing some experiments on coding, then you can go with this which can create a high output. Once you want to get some reference in respect to the structure or else how others are working on the same, you won’t get it. It is because of the rapid change in the updations that won’t give time to the developers to do practice even. Weekly or daily basis, changes are rising. For the front end development, build in tools are necessary or is encouraged. In the case of simple apps, we can cope up with shell scripts. But for the complex apps, you may use Gulp tool to coordinate the multiple tasks. It is useful, but to use it you have to get expert training since the device is that complex. 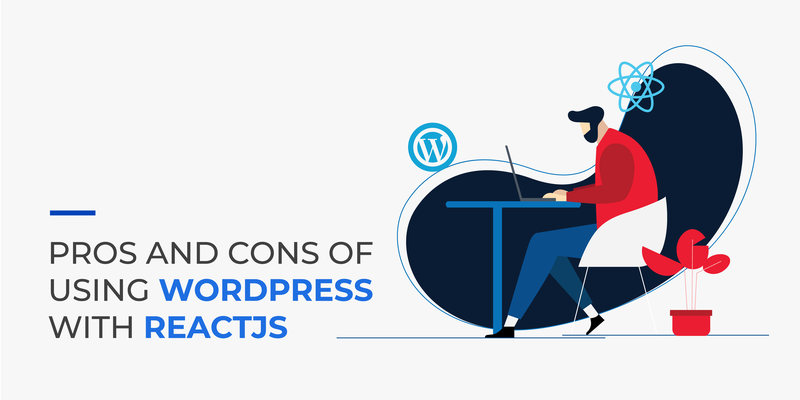 By examining all the points mentioned above, you will get an idea regarding the pros and cons of using WordPress with ReactJs. Each new technology will take time to get into the real track with updations and review from the users. After the polished phase, it will become convenient for the developers. Here in the case, it is up to the user to decide which one should apply for the project. Take your own time to create the framework.